It's Throwback Thursday: Anniversary Edition! 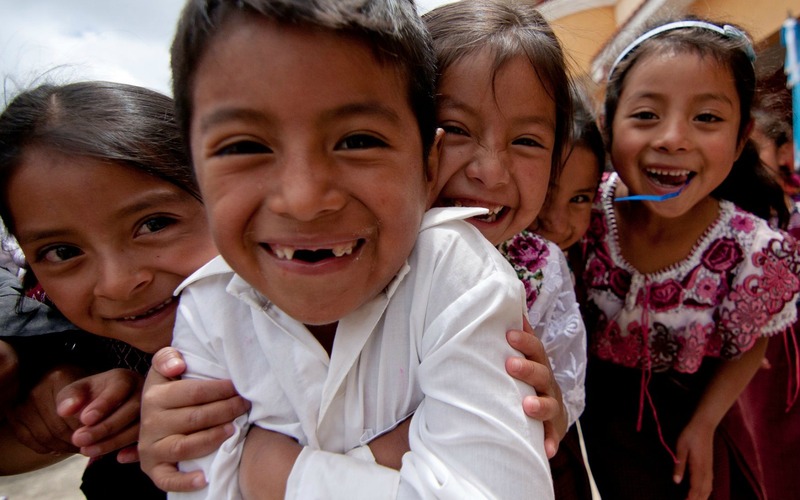 Over the past 8 years, Mission Guatemala has focused on the areas of health, nutrition, and education. From day one, in addition to working to provide a truly underserved population with high-quality, affordable medical care, we also dreamed of having the opportunity to help meet the daily nutritional needs of children in the San Andrés Semetabaj area. Across Guatemala, over half of children under 5 years of age suffer from chronic childhood malnutrition, and we knew that this area was no different. In May 2011, less than a year after our work in San Andrés first began, we saw that dream became a reality, as we served the first lunch to the 93 students at the elementary school in the community of Nueva Esperanza, as part of Mission Guatemala's first full-time nutrition program. As the years have passed, needs may have shifted and locations of the programs may have changed, but our commitment to addressing the nutritional needs of the local communities remains the same. Our first unique nutritional program that was born in Nueva Esperanza years ago, has today grown to include nutritional initiatives in 7 different communities, with 6,744 meals served each month! Today, and everyday, we are thankful for the opportunity that we have had to impact the communities and families of San Andrés Semetabaj, and for all of generous support from so many wonderful supporters like you who have made it possible!